Have you heard how dental implants can give you a better smile? Discover whether these dental aids can improve how you look and feel. These are tooth implants made up of metal posts or frames that are surgically embedded into your jawbone to secure artificial replacement teeth. They are placed by implant dentists to give you a more beautiful and functional smile. 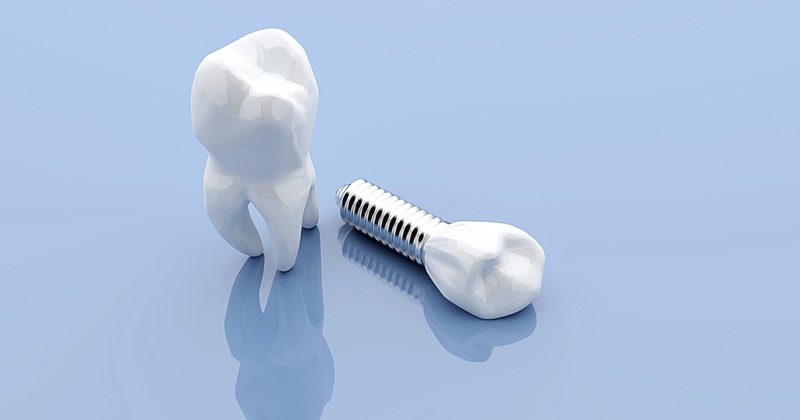 By attaching to the jawbone, tooth implants provide strong support for replacement teeth. They secure dentures, bridges, and crowns to prevent them from shifting and moving in your mouth. They also ensure a more natural fit and feel than ordinary bridges and dentures, which many find either uncomfortable or impossible due to tooth structure and personal response. Another advantage of dental implants is that they don’t require damaging adjacent teeth in order to attach replacement teeth. According to implant dentists, tooth implants aren’t right for everyone. They can only be used on healthy gums with sufficient bone to support them. They also require excellent oral hygiene habits and regular dental visits. While implants typically cost more than other tooth replacement options, it’s possible to get affordable dental implants. Today, many implant dentists offer financing and accept insurance to make affordable dental implants a reality for everyone. I always have good service and it is very easy to make an appointment. There is always just a short wait and they are very efficient! Nobody LIKES going to the dentist. But if you have to go to the dentist, this is where you ought to go. Excellent staff with personality plus.